Ever since I received a sample of the Liz Earle Radiant Glow Bronzer, it’s been an obsession. I can safely say I have used it more than any other bronzer and it’s pretty much a daily staple (interspersed with Bourjois Sun Cream Blush). It’s not often I put a high recommend alert on products, but this, I’m happy to say is a no-brainer in that department. Don’t even start summer without it! Such an unglamorous picture, but you can see how much I’ve been using it. 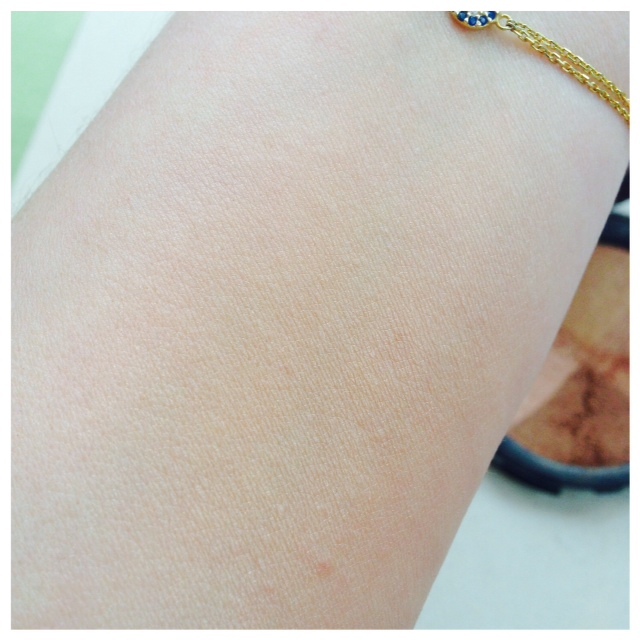 I’m not generally a bronzer fan… there is nothing I want less than a sparkly brick coloured face, but Liz Earle Radiant Glow Bronzer is neither – far from it, actually. If you’ve ever been scared of bronzer, this is your starting place because what it delivers is a subtle, warming, non-sparkly, radiant glow and it’s good for all skin tones, except perhaps the very darkest. 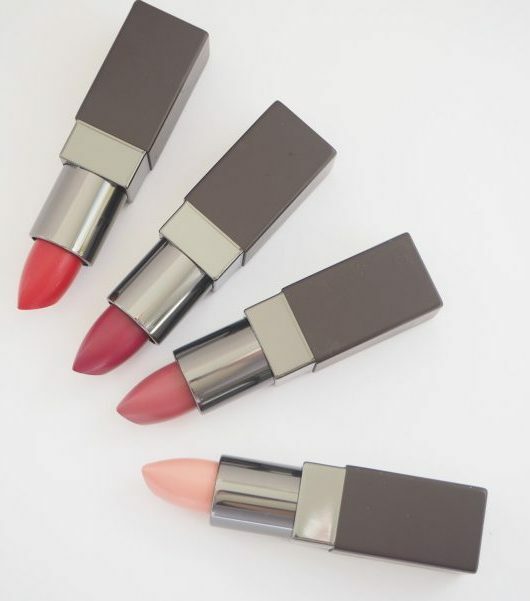 The four different shades, swirled together with a kabuki, become sheer radiance but crucially, with no glitter, so all you look is very well; a little bit holiday-ish and as though winter never existed. 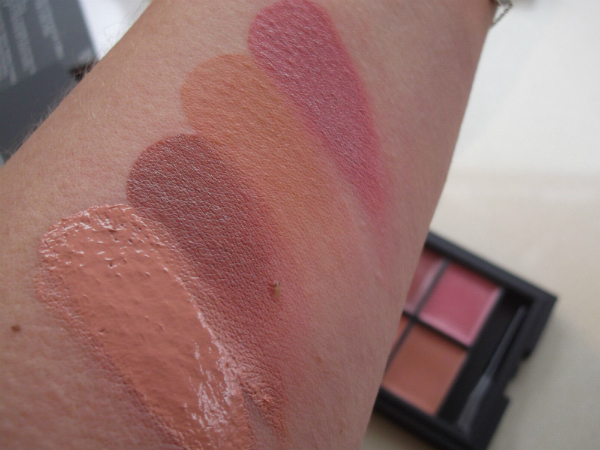 The swatch (sorry, I still have a little bit of eczema going on) gives clue to how nicely it fits onto paler skin too. Because there are four differently shaded sections, if you need to amp it up a bit, you focus more on the darker quarters. I’ve tended to favour the bottom two quarters for some reason, looking at the product. 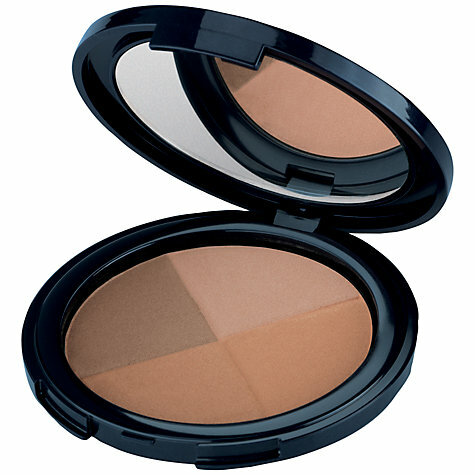 I know that other bronzer-shy make-up lovers have also raved about the samples of this – I’m so glad it’s on sale and I’m buying another as a back up (maybe two..suddenly having a panic at the thought of running out). You can find it HERE for £19.50. 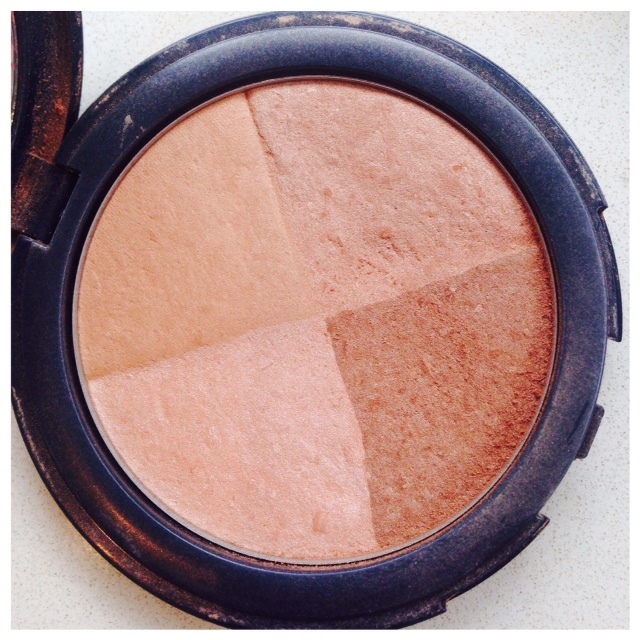 Hi Jane – I’ve never used bronzer – how do you apply it? Well, personally I use it as a ‘warming’ effect blush, but you can go very lightly where the sun would naturally hit – so nose, forehead etc. If you’re looking for a general warm-up, the Chanel Healthy Glow Sheer Powder is probably better.